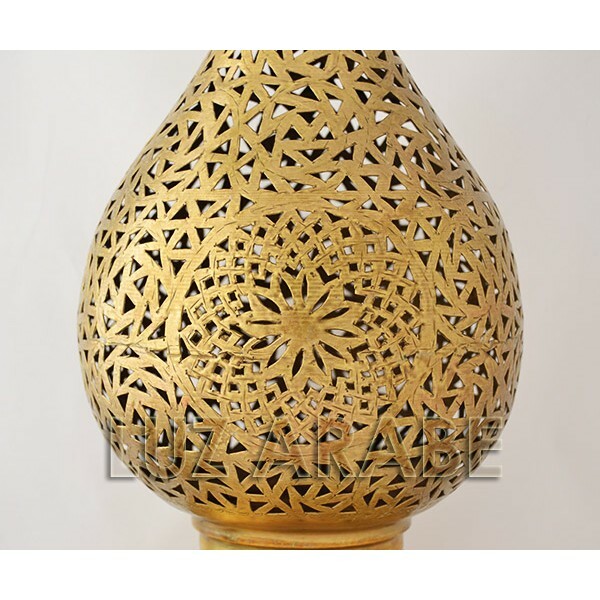 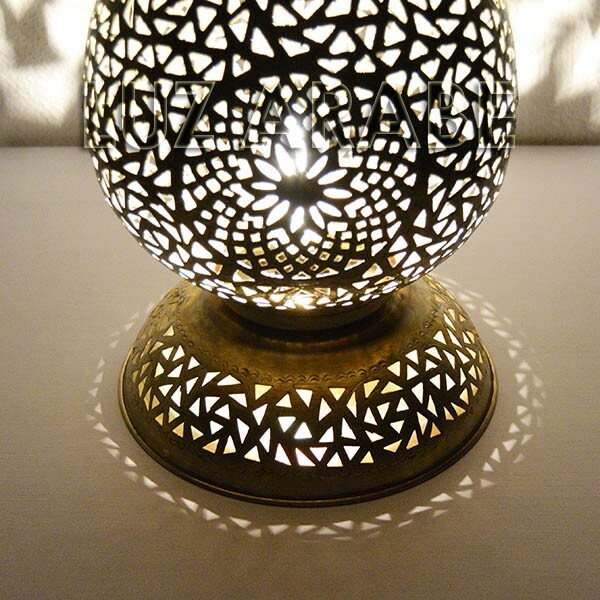 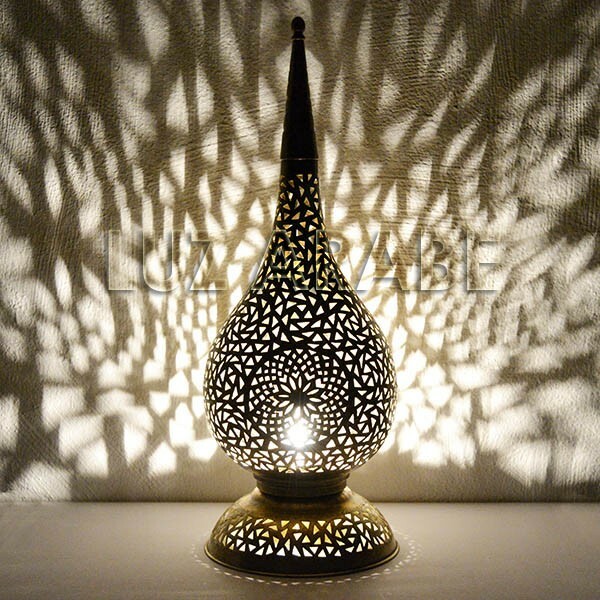 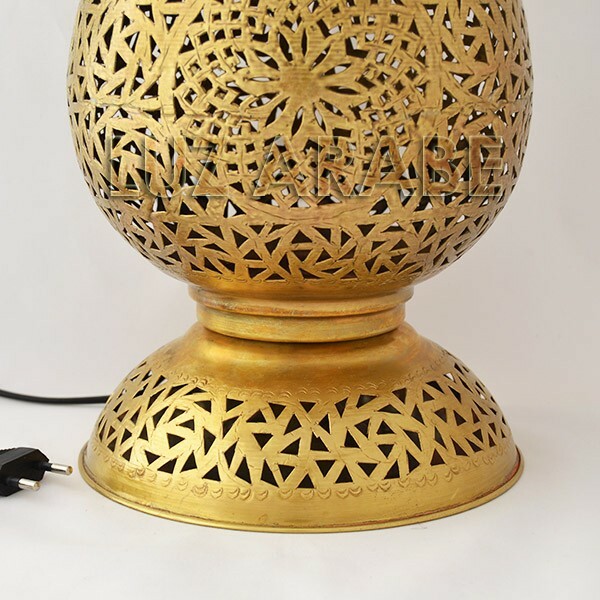 Large Moroccan table lamp of pierced and hand-graved brass of dewdrop shape. 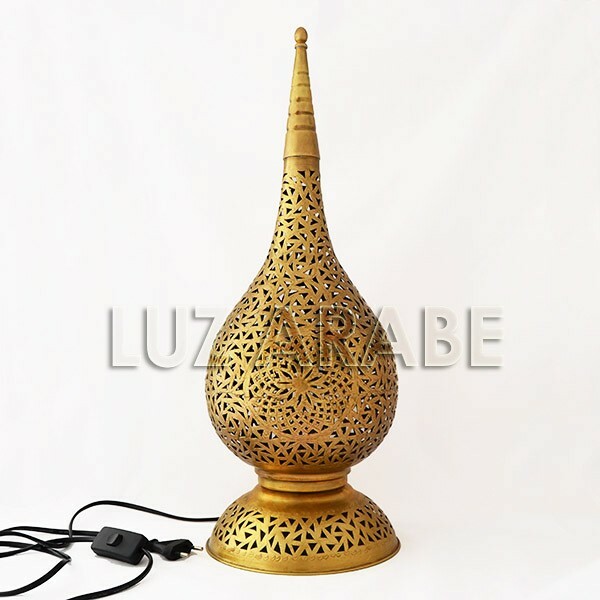 The special drawing of the copper lamp and its base, introduces reflections of elegant lighting and very prestigious atmosphere. 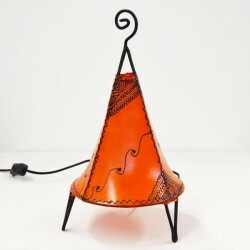 The lamp incorporates the corresponding electrical installation.